The orange roughy fishery first started in New Zealand in 1979. Orange roughy are caught by 9 different fisheries and are independently managed. 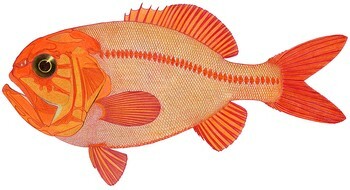 Orange roughy is managed by New Zealand’s Quota Management System. Management measures are enforced and based on scientific research. Stakeholders are engaged and compliance is high. Orange roughy is currently harvested at its maximum sustainable yield as catches in previous years exceeded target quotas. 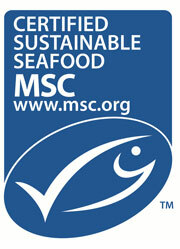 Management is still attempting to recover stocks from overfishing. They have life history characteristics that make them vulnerable to fishing pressure. These include slow growth, a long lifespan (over 120 years), and slow time to maturity (23-31 years). Management measures are in place for depleted populations. Non-target discarded species are low in the orange roughy fishery, as about 94% of the catch is retained. However, coral is a bycatch species of high concern. Deepwater biogenic habitats are considered to be highly vulnerable to the impact of bottom trawl fisheries, and a 2010 study found that corals and biogenic benthic fauna did not recover 5-10 years post trawling. Bottom trawls have the potential to damage habitat since they are dragged along the seafloor. The orange roughy fishery impacts sensitive habitats including seamounts and deep-sea corals. Mitigation measures in the form of benthic protection areas and seamount closures exist, but these areas overlap little with orange roughy habitat. Efforts are underway to explore the ecosystem impacts of the orange roughy fishery.